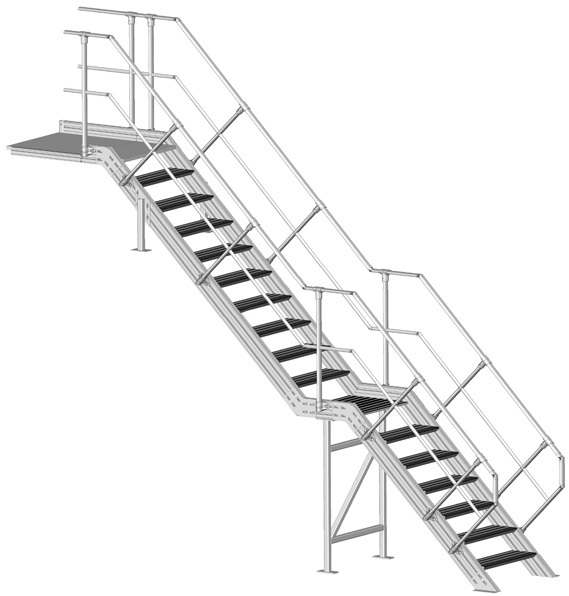 The SECURITOIT® STD gangway is a collective technical access means made of aluminium section. 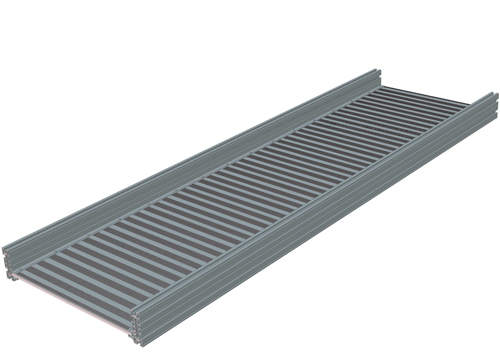 Suitable for any type of roof, this gangway is available in 2 widths, 600 and 800 mm and can be fitted with a guard rail conforming to NF E 85 015 & EN ISO 14122-3 on one or both sides. (for larger spans, please enquire). 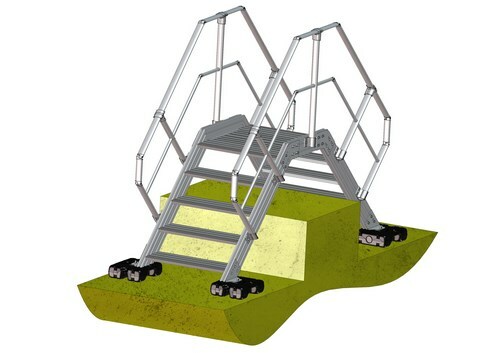 SECURITOIT® STD is a lightweight gangway, quick and easy to install. 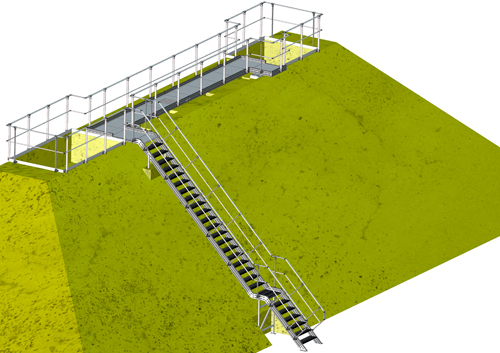 SECURITOIT® is a range of devices including gangways and staircases that are all totally compatible with each other. This means it is possible to properly secure an entire area whatever changes in in gradients are levels it may include. 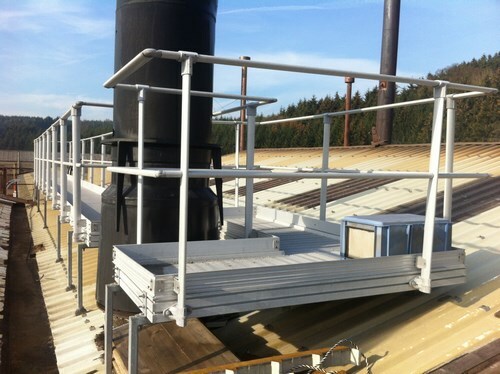 Set of gangways on a fibre cemente roof for access to ventilation units. 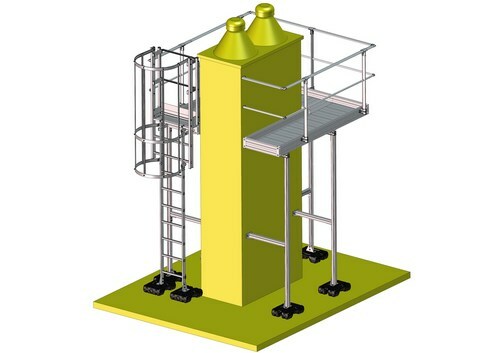 Gangway providing access to the top of a technical structure (chimney). 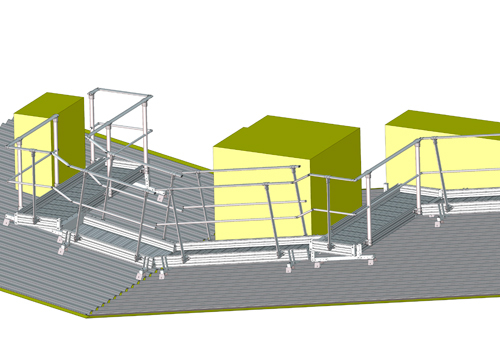 Adaptive Solution : Staiways+ Gangways + Railing. 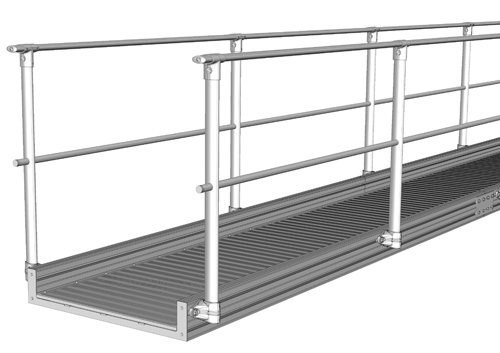 SECURILISSE® railing can be installed on all stairways and gangways of the SECURITOIT® product range. Acheaper version of this gangways exists : SECURITOIT® ECO.